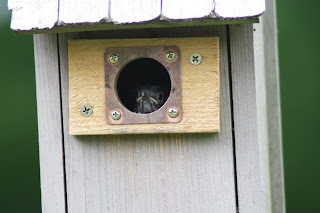 Wow...looks like my bluebirds are about to leave the box (I estimate that they will fledge in the next couple of days). Mom and Dad are still busy feeding, but these little guys look like they are ready to take on the world for themselves. It's been a lot of fun !! I always love pictures of bluebirds. 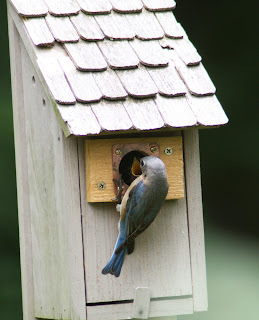 Maybe those parents will build their next nest in your cute house!